Food Tours has been added to your itinerary. Explore hidden gems such as Dolphin & Whale Watching and Muir Woods National Monument. 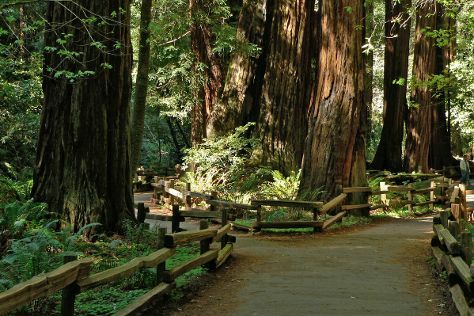 Take a break from the city and head to Armstrong Redwood State Reserve and Safari West. Venture out of the city with trips to Honig Vineyard & Winery (in Rutherford), Bodega Bay (Pinnacle Gulch Coastal Access Trail & Hagemann Ranch Trout Fishing) and Castello di Amorosa (in Calistoga). The adventure continues: immerse yourself in nature at Marin Headlands, identify plant and animal life at Sulphur Creek Nature Center, stroll through Lands End, and take in the awesome beauty at San Pedro Valley Park. Start your trip to San Francisco by creating a personalized itinerary on Inspirock. April in San Francisco sees daily highs of 67°F and lows of 51°F at night. Wrap up your sightseeing on the 27th (Sat) to allow time to travel back home.